This site offers helpful ideas and practical information so you can understand and manage your lower back pain (lumbago), neck pain, sciatica and headaches. Discover ways to get low back pain relief by using important tips and practical ideas about your spinal pain (low back and upper back pain) and problems directly related to it like a stiff neck, headaches or sciatic neuritis pain in the leg. From time to time related topics are covered like osteoarthritis, hip and knee pain, pinched nerve in the neck, and many joint pain problems. Doctor Lumbago is a web site written by a retired chiropractor with 42 years of hands-on experience. I am also a Diplomate acupuncturist who taught acupuncture on the post-graduate level for many years. The last 12 years of my practice life I worked in a large orthopedic clinic primarily doing pain management when drugs did not work and back surgery was not an option; the MDs were amazed how natural treatment helped skeletal pain. I got the job to work in this medical clinic only because these doctors knew that Alternative Medicine often works when drugs and surgery are not helpful. The ideas found in the Dr. Lumbago website worked in ways that their drugs and surgery could not. That is why I got the job working with a large group of MDs, and why I kept that job. What I will share with you on this website represents many years of practical experience treating lumbago and hundreds of structural problems that these orthopedic doctors could not help. With 100s of muscle pain and joint pain websites, how is Dr. Lumbago different? First and foremost I have had advanced arthritis in my three lower lumbar vertebrae for well over half my life, so I live with lower back pain every day. I am 66 years old and I stand two inches shorter than when I was 21. All this started because as a teenager I did heavy manual labor like an adult, lifting heavy weights before my bones were strong enough to carry the load I placed on my spine. 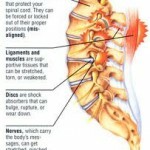 As a result, my three lower lumbar discs were permanently damaged when I was just a young man; now the lower discs of the spine are worn down to almost nothing and the vertebrae all have spurs. I am an expert at living with and minimizing low back and leg pain. During my career I was fortunate to have provided low back treatment to tens of thousands of people in acute pain and chronic pain situations. So I learned how to deal with the lumbago of other people as well as my own. With a lot of knowledge and vast experience with muscle and joint pain problems, I will provide information that is reliable, effective and as up-to-date as possible for your benefit. 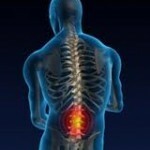 The emphasis of this site is on how to avoid the use of drugs and surgery for lumbago and neck pain. Prevention and natural methods like non-needle acupuncture, trigger point therapy, lower back exercises, and dozens of little tricks for back pain relief are demonstrated in videos and text. While I am not against the use of drugs and surgery for lower back pain, or chronic neck pain, I am against their overuse. I will do my best to help you be less dependent on medication for your lumbago, and perhaps avoid neck and back surgery if possible. 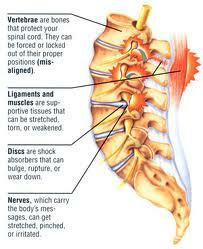 How does a herniated nucleus pulposus (disc) cause spinal pain? 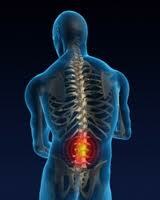 What can be done to relieve facet joint hypertrophy and pain in my back? What causes sudden back pain when I turn to the right and bend slightly? © 2015 Dr Lumbago - All rights reserved.